Despite its patina of humor, the work is a merciless exposé of the commercial middle class dishonesty, and the convenient immorality hiding behind social conventions, which are characteristic of a developing urban society. The most noble character, Serafima, is a compelling mixture of naïveté, whimsicality, sentimentality, and obstinate practicality – one of the finest character portraits in Russian drama. 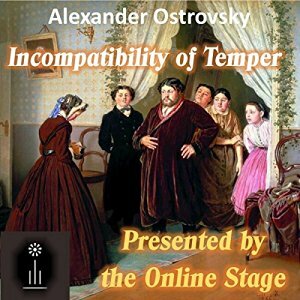 To listen to a sample and/or purchase this play, please visit Audible here. Posted by lahowlett on September 1, 2016 in Uncategorized.